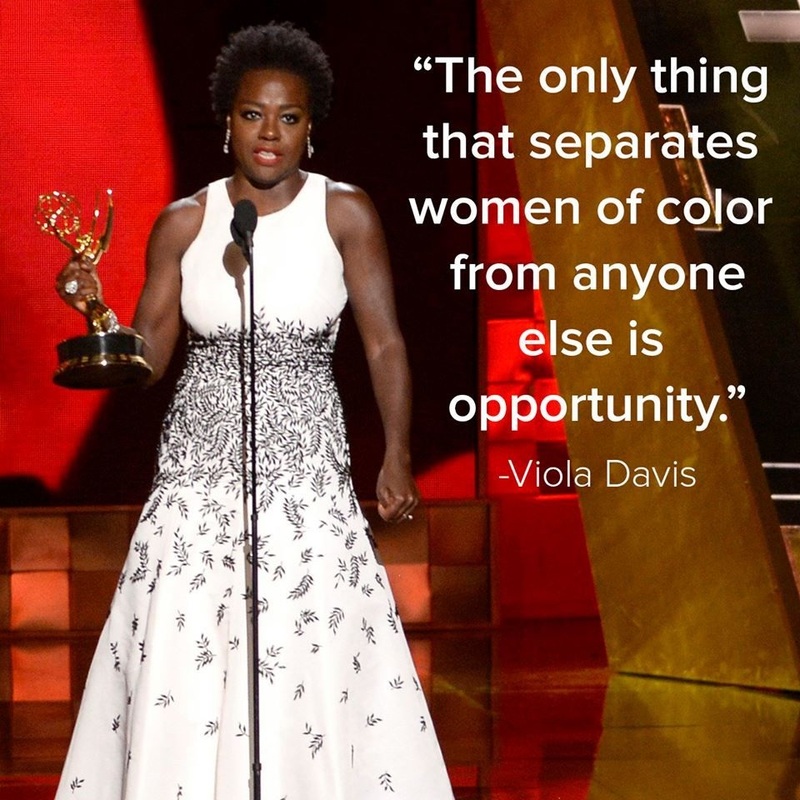 Blog A - NATALIE M.
I wrote this blog back in September and it was my second blog and the first blog that wasn't teacher-directed.In September of 2015, Viola Davis made history when she became the first black woman ever to win an Emmy for outstanding lead actress in a Drama Series at the 67th Emmy Awards. Although many saw this as a celebratory moment, actress Nancy Lee Grahn did not. In this post I explain how and why Nancy's tweets were offensive and what we can take from her mistake. This was definitely my favourite blog to write because I really appreciated the freedom I had in writing it. On the night of the Emmy's, of which I did not watch, I noticed that on twitter Viola Davis' emmy win was trending. After a few hours, I noticed that Nancy Lee Grahn was trending as well. I then did research and I learned that Viola had made history. I also learned that Nancy was not quite fond of Viola's speech which acknowledged the lack of opportunity because Nancy felt as though the Emmy's was not a venue for racial opportunity. After forming my own opinion on the matter, I then decided to express it through my blog. I was inspired by two of my favourite youtubers Seren Sensei and Gazi Kodzo. In conclusion, This piece was my favourite piece to write. However, it's not perfect, which is why I love it. It has helped me to grow as a writer because I use it to compete with my other blogs and try to make them twice as good as this one. I chose this piece because it really highlights my knack for analyzing and understanding situations whilst also considering the different perspectives and opinions others have on a particular situation. After I analyzed this particular situation, I realized that there were two main opinions/ perspectives. Some people agreed with Nancy and also thought that its not about women of color's lack of opportunity in Hollywood but rather ALL women's lack of opportunity. Other people felt as though Nancy's tweets were offensive, innapropriate and petty because it seemed like she was trying to distract from the actual issue. I agreed with this side but I also wanted to include Nancys perspective to help my audience understand why she felt how she felt and how she was wrong.